Last month I celebrated my birthday with a Bahamas weekend trip to the Exumas, a chain of beautiful cays and islands just an hour’s flight from Miami. The Exumas are famous for the Swimming Pigs, which have been featured on TV show The Bachelor. But whether you want to get up close and personal with giant swine or not, Exuma was one of my favorite Caribbean destinations yet thanks to crystal clear water, gorgeous white sand beaches, a great dining scene, and the incredible Bahamian hospitality we experienced. Even better, our weekend trip to the Exumas was super affordable. We were able to fly for free from Chicago using 30,000 American Airlines miles, and the house we rented on Great Exuma was only $75 per night (split among four people). The most expensive part of the trip ended up being the car rental (~$80 per person), but that was to be expected – car rentals are always expensive on islands. If you’re planning a Bahamas weekend getaway, I highly suggest the Exumas – below are four reasons it’s the ultimate Caribbean destination. But First, My Thoughts on the Exumas Swimming Pigs…. Throughout our weekend trip to the Exumas, I was a little disturbed by how tour companies, fellow travelers, and even regular citizens handled animal tourism. For example, at Pig Island, the guides give you tips for taking selfies with the pigs. But they don’t give you tips on how to ensure the experience is safe and enjoyable for the pigs themselves. We witnessed tourists picking up piglets who were squealing with discomfort – not cool. I only felt worse about it when I got home and a couple weeks later, read in National Geographic that many of the Swimming Pigs had been found dead. The cause is most likely a combination of dehydration – their natural source of water had dried up – and increased tourism. A significant amount of sand was found in the pigs’ bellies, which is probably due to the fact that tourists throw treats onto the beach for them to eat. In addition to the strange relationship between tourism and the pigs, I felt uncomfortable with how much everyone in the Exumas fed wildlife. We were encouraged to feed sharks, fish, stingrays, and Bahamian Rock Iguanas (which are a vulnerable species) during our trip. I’ve always been taught that you’re not supposed to feed wild animals because they can become reliant on humans. What happens if a certain animal area falls out of vogue with tourists? And are pigs and stingrays supposed to be eating things like bread? Seems like this is not part of their natural diet. The treatment and exploitation of wildlife in the Exumas didn’t sit right with me. Now that the pigs’ deaths are getting international attention, I can only hope that things will change and some regulation surrounding human interaction with these creatures will be implemented. I wish I could recommend an eco-friendly tour company, but I didn’t happen to come across any. So if you go, enjoy the beautiful islands but don’t feed the animals. If you see something you don’t like, send a note to the Bahamas tourism board expressing your discomfort. The Swimming Pigs are unique, but the tour we took to visit them was, in my opinion, overpriced and exploitative. But my rant is over – here are five great OTHER reasons to visit the Exumas! Our group couldn’t stop commenting on how beautifully turquoise and crystal clear the water was in the Exumas. Sure, stunning beaches are a hallmark of almost all Caribbean island destinations, but it seemed like the waters of the Exumas had a little extra sparkle in them. Even famous beaches like the Tropic of Cancer on Little Exuma (above) were pretty much deserted. When we took a tour of the Exuma Cays, we were amazed at how easy it was to peer into the water below the boat and clearly distinguish objects on the ocean floor. We saw things like a sunken drug plane and a sculpture – commissioned by the magician David Copperfield, who owns the island nearby – of a mermaid playing the piano. Before we landed in Great Exuma, we already had a boat tour booked to see the famous Swimming Pigs and snorkel with nurse sharks. What we didn’t realize was that we’d see cool marine life everywhere, without even trying. There were colorful fish swimming around right outside our house. At more than one restaurant, we spotted nurse sharks (the kind that are not likely to bite humans) swimming right by our table. We also randomly saw multiple sting rays and sea turtles. One of the coolest places to snorkel in the Exumas is Thunderball Grotto, which you might recognize as a scene from James Bond. It’s one of the stops on most water tours. This adventure is not for the faint of heart. We had to swim against a pretty tough current and squeeze ourselves into a tiny passageway between rocks to enter the grotto. Once inside, you’ll see hundreds of colorful fish swirling about. If you go, I’d recommend being the first person off the boat. Then you can get a look at the grotto without all your fellow passengers clouding the view or sneaking into your underwater photography. The Exumas are known as the destination of choice for the rich and famous. David Copperfield’s island rents out at around $37,000 per night (Oprah has stayed there before) and stars like Faith Hill and Tim McGraw own vacation homes on private islands nearby. Five star resorts will cost you a pretty penny, and even smaller hotels can be ~$250 per night. That’s why we chose to book our weekend trip to the Exumas on Airbnb. With four people, renting a house made more sense from a budget perspective vs. getting two hotel rooms. We were lucky enough to snag reservations at a waterfront house that cost us just $75 per night, total. The house was far from the lap of luxury, but it was an adorable beach house complete with cute nautical decor, air conditioning, and a full kitchen. 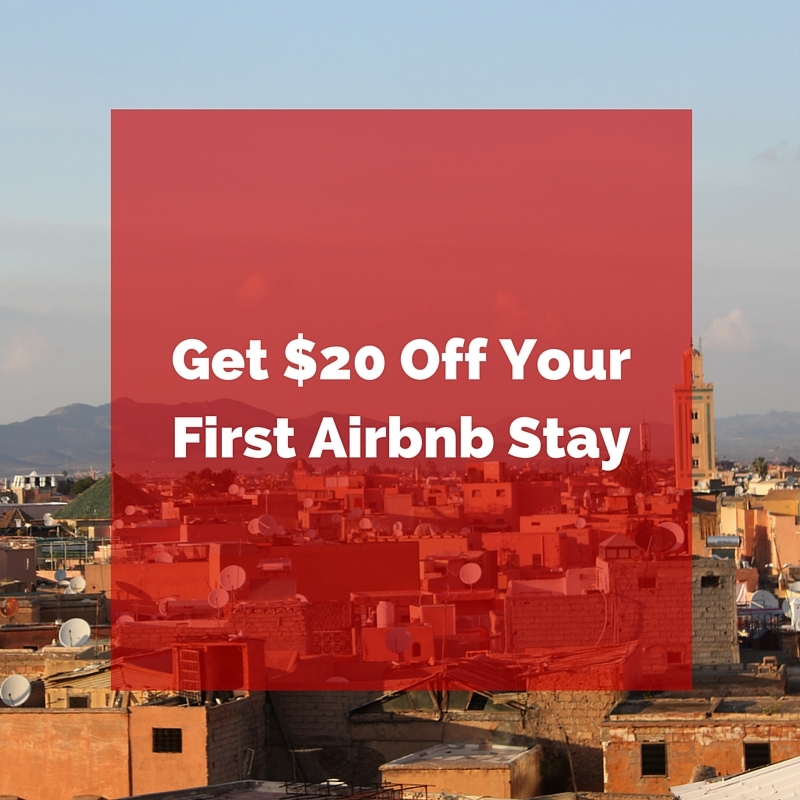 If you’re signing up for Airbnb for the first time, use this link and get $40 of your first booking – I’ll get a bonus for referring you, too! The Fish Fry – The Fish Fry in Georgetown is a must if you want to experience how locals spend a Friday night. It’s a group of small restaurants and shacks serving up typical Bahamian dishes, barbecue, and even pizza. It’s one of the most affordable and fun places to eat on the island! Chat ‘n Chill – Located on Stocking Island, Chat n’ Chill is only accessible by boat. So if you don’t have one, you’ll want to catch Elvis’s water taxi from Georgetown for $10 round trip. This open air island bar and restaurant has games like volleyball and is the ideal place to spend a Sunday afternoon, when they host a pig roast. Get there early before the food runs out! Tropic Breeze – In terms of food, Tropic Breeze on Little Exuma was hands down the best we had in the Exumas. We found it after visiting the Tropic of Cancer beach, as it was only a few minutes further down the road. The restaurant is located right on the beach with incredible views, and is run by Khriston Turnquest, a graduate of the Cordon Bleu school and ex-Sandals chef. We couldn’t stop raving about the burger topped with lobster. Best of all, the place isn’t even crazy expensive – said burger was $15. Catch a Fire – Catch a Fire was the most expensive restaurant we dined at in the Exumas. The food was pretty good, but the real reason to go here is the view. It’s arguably the best place to watch the sunset, so time your visit accordingly! The pina coladas were also on point, and we were able to watch a couple nurse sharks swimming in the water below us throughout the night. Great Exuma is a small island, and even though we were only there for four days, I felt like I’d made more friends there than I have in Chicago. Everyone we met was incredibly friendly and willing to offer advice or a helping hand to a stranger. For many residents, hitchhiking is a primary form of transportation – that’s how safe it is. On our first day on the island, we stopped at a restaurant called Santanna’s on Little Exuma for a drink. While hanging out at the bar, we struck up a conversation with two women who were sitting nearby. It turned out that one of the woman, Dee, was the owner of the bar. We asked her if she had any advice about where to watch the upcoming Super Bowl. Instead of recommending a bar, like we expected, she immediately invited us to her brother’s house for his Super Bowl party. At first we thought she was just being polite, but she actually wanted us to come. So we said yes! Turns out, this was the party to be at in the Exumas on Super Bowl Sunday. Whenever local people we met asked us what we were doing for the game, and when we told them we were going to a party, they all immediately knew what we were talking about. “Oh, you’re going to Snowman’s party!” they would say. Snowman – Dee’s Brother – sells air conditioners, which is how he got this nickname, apparently. I thought that was pretty funny. When Sunday rolled around, we showed up to the party where we knew literally no one. We were a little cautious, hoping that they’d remember having invited us. But as soon as we got out of our car, someone ran up to us exclaiming, “You came! Dee’s been waiting for you!” We were each handed a plate of food and a drink (from the open bar… yes, this party was pretty sweet). The game was projected onto Snowman’s garage, and everyone sat outside watching it, drinking, and chatting. It ended up being one of the most fun nights of our trip! Before you go, you should know…. English is spoken, and American dollars accepted everywhere since they are the equivalent value of Bahamian dollars. Bring cash vs. credit cards. Many tour operators, shops, restaurants, etc. do not accept cards. If they do, they’ll probably charge you a 5% fee for processing a credit card. Driving is on the left hand side of the road. BUT, there is only one main road in Great Exuma/Little Exuma, so it’s really not that difficult. That being said, road conditions aren’t the best so you do need to be careful of potholes. Says the girl who lost a hub cap on the way to return the car. People are very laid back here, so don’t expect speedy service or perfection. For example, the doors didn’t lock on our rental car and it was making a weird noise every time we turned it on. But, there were no other cars left, so we went with the flow. Prepare to get bitten by bugs! Little tiny bugs were constantly biting us leaving small red marks. Bug spray didn’t seem to help ward them off, but one of our tour guides told us the trick is to wear coconut oil on your body at night. Gross, I know. How Do I Afford to Travel the World? Subscribe to The Weekend Jetsetter Email Newsletter & Receive a FREE eBook! 4 Comments on "Island Escape: 5 Reasons to Take a Weekend Trip to the Exumas"
Hi, thanks for sharing your experience, I really liked it. I wanted to ask you if you paid for a tour to know the exumas or if you could do everything alone? I think the tour is extremely expensive, but I wanted to know if you can only go to all the places, for example to Thunderball Grotto. I thank you if you can help me with these doubts. We took a boat tour to Thunderball Grotto – unfortunately it would be hard to get there on your own, as you’d need a boat and it’s really far from Exuma so unless you’re an expert navigator, I wouldn’t recommend it! The distance is why it’s so expensive – because it requires a lot of fuel. As for traveling around the two main islands, we simply rented a car and drove ourselves to beaches / restaurants vs. taking tours. Depends on where you’re flying from! There were direct flights from Miami, but we connected there from Boston (on American). Regarding vegan food, I’d assume that options would be pretty limited – however, there were a couple grocery stores on the island that were well-stocked so if you had a kitchen / kitchenette it would be relatively easy to buy your own food. We did find one casual spot: https://driftwoodcafeexuma.com/ that was pretty healthy so they’d be a good place to start!